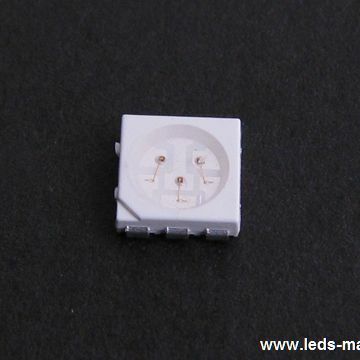 ﻿ Produce 2.50mm Height 2420 Package Top View White Chip LED , Export PLCC-6,Mono Color,2220 Top View,5.50X5.00X1.50mm, Supply 2.50mm Height 2420 Package Top View White Chip LED suppliers, OEM PLCC-6,Mono Color,2220 Top View,5.50X5.00X1.50mm. ◇ Lead frame package with individual 6 pins. ◇ Super luminosity white LED. ◇ Built in 5 LED chips. ◇ The Chips can be controlled separately.